I have been processing my Redeemer Concert experience in Nampa for the last couple of days; and while it may not be the best idea to begin any kind of recap with religious overtones, I need to clarify my perspective. First, I have never been to a religious revival, and this was definitely that. Also, country music is not my favorite flavor on the music genre menu. It can be a little cloying for my taste, even though there are several county songs and a few country artists I enjoy. 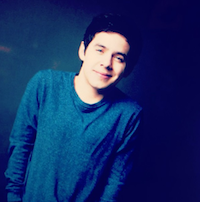 To be honest, three things got me to that concert: 1) the tickets were free; 2) the venue was 20 minutes away; but best of all, 3) David Archuleta was on the program. Like 99% of those who were at the show, I am a practicing Christian. I attend church every Sunday, but our worship service (Sacrament Meeting) is rather staid and solemn, except for the intermittent noise from children because it is very much a family affair. We also worship with music, a lot of music, meaning a choir or a selection of congregational hymns with an organ accompaniment, but nary a hint of a band. Now, I didn’t go to the concert with any apprehensions. It was a Saturday night after all, a good night for a rousing good time, but I knew this would be a different kind of worship, and an adventure of sorts for me. It was; and it was fun. My sweet daughter-in-law, who has given birth to half of our eighteen grandchildren, took two-thirds of her brood to the matinee performance. I was anxious to get her report. I always want every soul within earshot of David’s voice to come away with undying appreciation and admiration for his talent and charismatic self. Is that too much to ask? Of course not. To my relief and total satisfaction, they all had a great time and noted that David received the loudest and most enthusiastic reception of all, which included my smartly trained grandchildren participating in that welcome. It was also noted that David probably gained new fans with his appearance alone, and he certainly did not disappoint with his music. Daughter-in-law remarked that his distinctive voice “cut through everything going on” during his songs. While I try to resist feeling a little smug about these kinds of reports, there are times when it just can’t be helped. A few quick hours later, it was my turn. My husband and I filled up the SUV with a couple of friends and a grandkid band of merry teenagers. Happiest carpooling ever. We arrived early and waited for my “inside connection who shall remain nameless” to arrive with four tickets to seats on the main floor, close to the stage. The teenagers scattered with their tickets to find the best seats they could, and they did well. Meanwhile, the rest of us sauntered into the VIP section, pretending we had enough sophisticated wherewithal to look like we belonged there. As my fellow David concert goers know, I am all about reserved seating, and the kindest gesture of all in this massive general admission crowd was the offer of assigned floor seats. My bad back is still thanking you. The concert began rather quietly with a young woman who accompanied herself at the piano while she sang the national anthem. I wish I could remember her name because she had a very pleasant voice; but the arrangement was so unusual, I almost missed the melody when it happened. That calm moment didn’t last long. The other musicians took their places and began the show with a religious fervor heretofore unbeknownst to me; however, it didn’t take long to get into the spirit of the celebration. Because the band members and the solo artists were LDS, I fully expected the majority of the crowd to be the same. That was not the case, and I would go so far as to say that every Christian denomination in the area was generously represented that night. 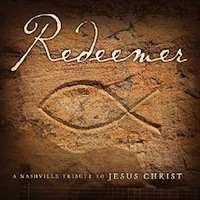 The Nashville Tribute Band (NTB) used biblical scripture and songs to tell the stories from their Redeemer album, and the crowd definitely felt more unity than difference. After all that has been in the news of late, it was a welcome comfort. 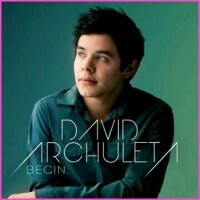 David Archuleta did not appear until the end of the program, something I was told to expect; but there were several nice solos along the way by Marie Osmond, Alex Boyé, and from the band, including a beautiful number from NTB member, Chad Truman, who has a terrific singing voice and who also works as David’s keyboardist. Talent galore on that stage. I have to admit that I was completely ignorant about proper revival etiquette, so I took my cues from the friendly and charming Baptist couple sitting next to me who knew exactly what to do. They were into it with every number, singing along, taking pictures, and totally camera ready for David Archuleta to appear. His awaited entrance was accompanied by sustained applause and cheering, the loudest of the night. He looked more manly than boyish in his quasi-Western getup, an excellent choice, as I immediately heard a couple of remarks about him looking older now. David would have liked that. Cute Baptist couple was capturing every minute. Marie Osmond had more costume changes than David had songs to sing, but he made up for it with his performance. There were plenty of “big notes” in this concert, a staple in revival singing perhaps, but David can belt it with the best of them and still have that unique tone that captures immediate attention. His “Glorious” was indeed glorious, and his “When the Son of Man Comes Again” was a fantastic finale. A wow moment. A more personal highlight of the evening was the variety of positive responses from friends, most of them going to the concert for reasons I mentioned before: free tickets at a nearby venue. 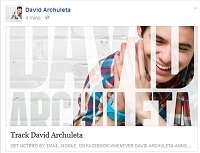 It is true that my friends cannot escape the fact that I am a forever fan of David Archuleta. There is no escape from my persistent prattling promotion. Perhaps they tolerate it because I am their friend, but few of them follow David on their own. When I heard their post-concert comments, like “So good!” “Powerful voice.” “He just grabs your attention.”, etc., it felt like an extra payday. I love it when I’m right. One last thought about my revival survival, a revisited realization really: David Archuleta seems to do it all, and there is more to come. Some of it will be surprising. Aren’t you glad you’re still on the bandwagon? Me too. Check out these amazing photos by Fabiana Beatriz. More here. Loved, loved, loved that recap…things are always soooo far away for me to go to, so this recap, I felt like I was there. Thank you !!! I am 80 years old but David is the love of my life!! “persistent prattling promotion” of our favorite artist, David. I really loved seeing the boys getting their hair ready. It’s good to see that they have to go through some of that too! Yeah that national anthem arrangement sounds kinda weird..I watched the whole clip thinking that David was gonna join! Oops I forgot my info. Thank you so much, TaterZ. for taking the time to write this, love, love, LOvE how you put us in those chairs with you! It is so cool to hear non-uber fan reactions to David (when they align with ours of course, hahaha)… and really interesting to see him on a stage with so many other talented musicians and yet he seems so much more real and genuine to me, not necessarily loving all the attention like they seem to be (not a criticism, just diff. types of people) but he is always laser focused on connecting with the audience… and boy, does he ever. “Daughter-in-law remarked that his distinctive voice ‘cut through everything going on’ during his songs.” THIS!!!!!!! Isn’t it amazing how David’s voice does cut through everything!?! So pure and real!! Thanks so much for the awesome recap, TaterZen!! I would love for David to do more of these concerts with artists of different faiths. Unity is so needed right now (“one can put then thousand to flight, two can put ten thousand ..”). Your description of the revival aspect of this is perfect; the interpretations literally revive our hearts & souls! I’ve always loved “When the Son of Man..”. It just grabs you. What a perfect time to uplift and encourage. He does know how to make that connection with the crowd. He “feels” & lives every word he sings. I have to add my thank you to TaterZen for this fabulous recap. We uber-fans that live far away live vicariously through fan recaps. I was raised Baptist, currently I go to a church that features a worship band every Sunday plus I like country music so I would have loved this concert. The videos, pictures and this fan recap are the next best thing to being there. I was glad to know that there were people of many faiths there. Thank you TaterZen for your wonderful recap! As always you take us right in the moment to share so beautifully what you have experienced. Great write-up. Don’t think I’ve ever been to a ‘revival’ so to speak but the music sounded great from the videos and of course, yes….David seems to do it all and do it so well. He is definitely one of a kind Not a big country music fan myself but certain music and individuals can create some great listening experiences! Great photos, great recap, thanks so much for sharing. Just catching up on the last post TOfan, lots of good stuff! Thank you a thousand times over to our favorite Tater for this heartfelt review! Who else could have us doing “grandchildren math”? While this concert would not have been my cup of tea, I’m delighted to hear of David’s warm welcome and soaring (as ever) voice. That voice is not meant to be part of a choir–it is meant to enthrall with its dazzling brilliance. Me too TaterZen, me too! Great write-up! Wish I could have made that little jaunt up North. Tbh, I’ve always been a little envious of those congregations that really put some gospel soul, rhythm and clapping into their worship music. ☺ What an uplifting event this was! I figured it couldn’t hurt to ask lol Sooo glad I did. This type of worship get together is right up my alley. My church has a band. We sing, stand, cry, applaud, yell “amen”, and raise our hands! I enjoyed every word, I felt like I was sitting in midst of all the love. Love your families reaction to the Archuleta and his voice. It never fails. And have I told how much I love the way your write? Your humor is so witty, with a little dry to go along with it like someone we know lol The best kind IMO. Thanks everyone for your compliments (and your support). I appreciate your comments too. I enjoyed your personal reactions/reflections regarding this particular kind of concert. Just saw this on Tina’s amazing Tumblr… even if David didn’t do things like this, I would still be a huge fan, but then he does things like this and… WHO DOES THINGS LIKE THIS?!?? I had no idea more than 17,000 people attended. Wow. Yes, that is Alex’s wife and cute kiddos. His proposal to her was on YouTube several years back.